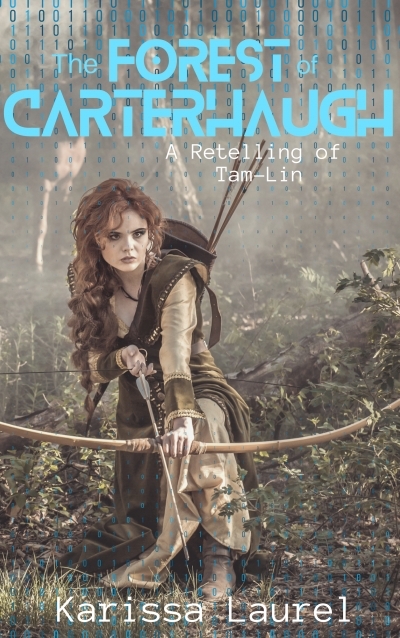 In the real world, Janae is learning to cope with losing her leg after a tragic accident, but in The Forest of Carterhaugh, a virtual MMORPG, she is a fierce warrior named Lady Janet. In the real world, Janae has a secret crush on Thomás, her questing partner, but in The Forest of Carterhaugh, she and Thomás are an unbeatable duo.The two have vowed to claim Queen Mab's elusive treasure for themselves—a goal no other gamer has been able to accomplish. But when Queen Mab and her evil Knightmares capture and enslave Thomás’s avatar, Tam-Lin, Janae loses all contact with her questing partner. Janae must overcome her greatest fears and self-doubts and learn to accept herself if she’s going to save TamLin and re-connect with Thomás in real life.